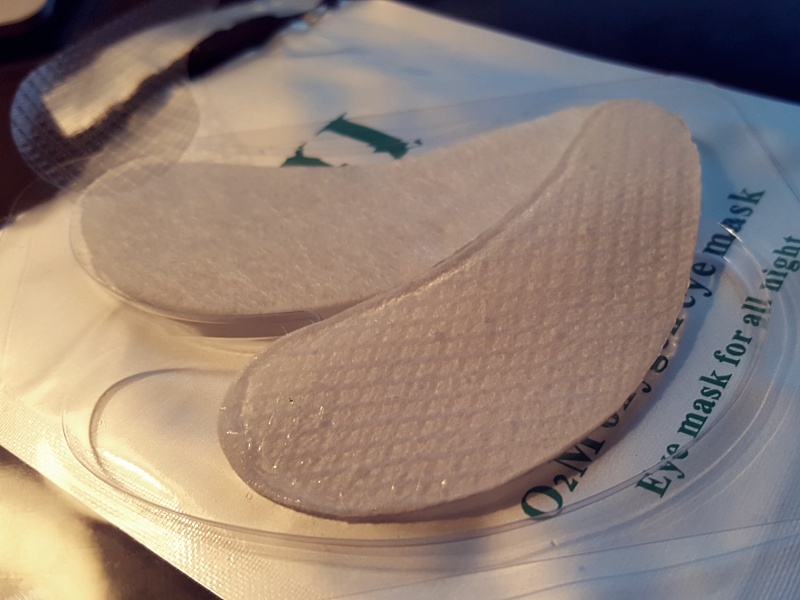 Review: VIIcode O2M Oxygen Eye Mask | LEFTBANKED. At the end of the 18th century, an Austrian doctor by the name of Byrne Victor developed a secret skincare formula that cured skin illnesses and allowed the skin to be born again. This secret formula for "eternal youth" was a favourite of Queen Josephine (the wife of Napoleon). Today, it is the formula for VIIcode's products. 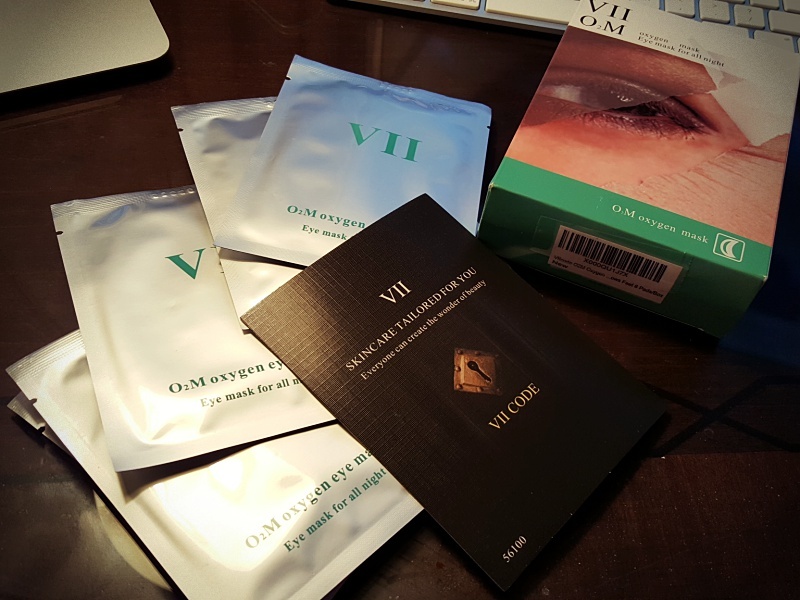 I received a box of their O2M Oxygen Eye Mask last week. The eye mask is meant to eliminate fine lines, dryness, dark circles, puffy eyes, and bags under your eyes. It is meant to be worn overnight; the 8-hour treatment will have you waking up to smooth-looking, bright and radiant eyes! They can be used by women of all ages. For older women, they can help to reduce wrinkles and fine lines. For younger women they moisturize the delicate eye area to prevent pre-mature aging. The masks contain a variety of special plant oxygen extracts and deep sea biological extracts which allow them to repair the skin around your eyes and help with a range of different issues. Your skin cells will be given additional energy and the ability to self-repair. HOW TO USE: After cleaning your face, apply each mask gently and firmly to your face under the eyes. Apply them shortly before going to sleep. While you sleep, the masks will strengthen and hydrate your skin. The recommended course of treatment is 2-3 times per week, and 3 boxes overall for long-term effects. MY EXPERIENCE: I have to admit I was a bit hesitant to try this at first. As I've mentioned in previous reviews, I have quite sensitive skin. I had never heard of this brand before and wasn't sure how my skin would react to it. I decided to try it and figured I'd just remove it if I started feeling irritation around the area. Luckily that didn't happen. The masks are made with all natural ingredients so are safe for all skin types. After I showered and washed up one night, I applied them under my eyes. Each packet contains 2 small masks; one for each eye. The masks have a gel-like texture, refreshing and cool to the touch. They are easy to apply and stay well on the face. They felt very relaxing actually. I left them on overnight and removed them when I woke up. They were easy to remove and didn't leave any residue. I then continued on with my usual morning skincare routine and noticed my eyes did feel fresher and brighter. I felt the masks were a bit big for me though and they did feel a bit uncomfortable at first (because of the size), but after awhile you will get used to them. Especially if you wear them while sleeping. I'd be interestred in trying the masks because your review sounds appealing. wow cool! you look amazing! xO!